We are all familiar with the Monday blues. But there is something much worse than Mondays — It is the first workday after a long holiday. What makes this day specially bad? There’s a lot of work to do – because tasks didn’t just miraculously accomplish themselves during the holidays. Long lines in banks and government offices. It’s permit and licensing season in the Philippines as well, so expect mayhem in queues everywhere. For those who actually made plans, a hoilday mood that will take longer to shift to work mood. 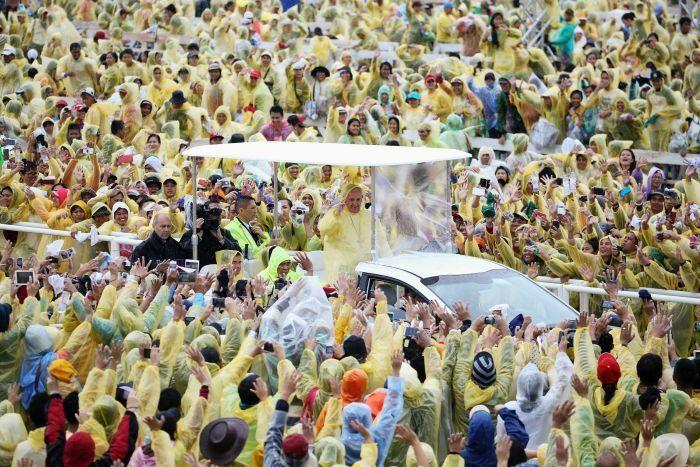 Specifically for the Papal visit, a lot of people got drenched in the rain during the record breaking mass. They may be ill now. Those who are not ill will have more work to do, since the ill ones will call in sick. Specifically for the Papal visit, a lot of people were on their best behavior while the Pope was here. Your co-worker may suddenly unleash the nasty side that he’s been suppressing all week long. This is a post, part of a series, to commemorate the Pope’s visit to the Philippines on January 15-19, 2015. Since this website is about investments, don’t you know that you can invest in the Pope and earn big returns. When I say returns, I am not talking about those of the spiritual nature (that would be too obvious), but financial ones. Do you know someone who had done it? This is a post, part of a series, to commemorate the Papal visit to the Philippines on January 15-19 2015. Which among the predominantly Catholic countries have the largest economies? Nationmaster defines a Catholic country as one with at least 60% Catholic population. Papal Visit Philippines 2015 Special: Catholic Based Investing, Anyone? Religion and religious leaders can influence their followers which businesses and investments to support, and which investments to avoid. Many often associate religious based investing with Shariah investments for Muslims. There are even Shariah-based stock market indices for Shariah compliant companies. There are also many Catholics who try to abide by the teachings of the Catholic Church in their investment decisions. This is the reason for the existence of Catholicism compliant investment funds. These funds usually implement negative screens in order to avoid companies that have activities that go against the Church’s teachings. These funds may also choose to invest in companies that promotes or has a long track record of compliance with Catholic teachings. Continue reading Papal Visit Philippines 2015 Special: Catholic Based Investing, Anyone? Posted on January 15, 2015 January 19, 2015 Categories Investment, Mutual Funds, PhilippinesTags Faith-based Investments, Papal Visit, Pope, Religion, Roman Catholic Church, ShariahLeave a comment on Papal Visit Philippines 2015 Special: Catholic Based Investing, Anyone?